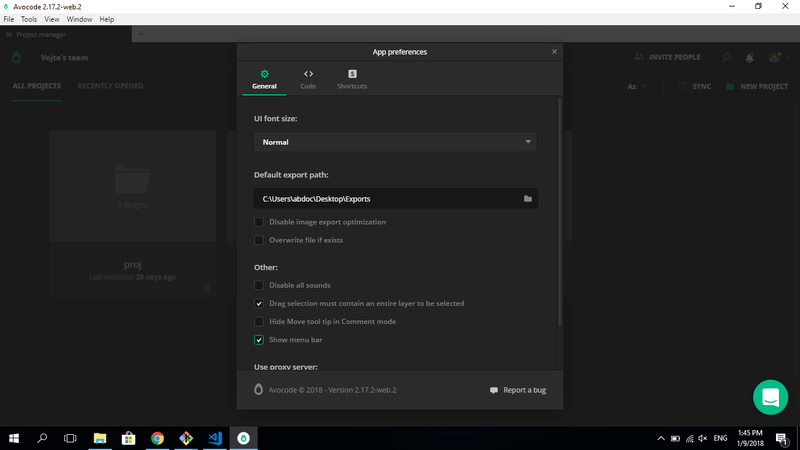 How to access App preferences? b) Click on "Avocode" in the top bar of your Avocode window (on the left of the bar) and select "Preferences". The font in the Avocode app can be changed from Normal to Large. By default, the look of Avocode is set to white (Light theme). If you prefer a dark look (for example to match the the Night mode on macOS Mojave), you can. Set up a path to a folder on your computer where you'd like to save all exported image assets. This default path will be pre-set for all new projects that you create within your team. 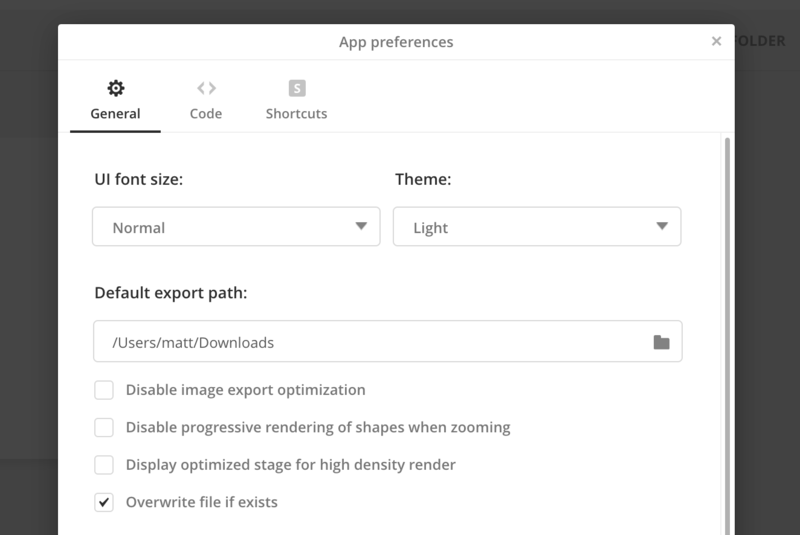 You can also change export path for each project. By default all your exported image assets (to PNG, JPEG, and SVG) will be optimized. 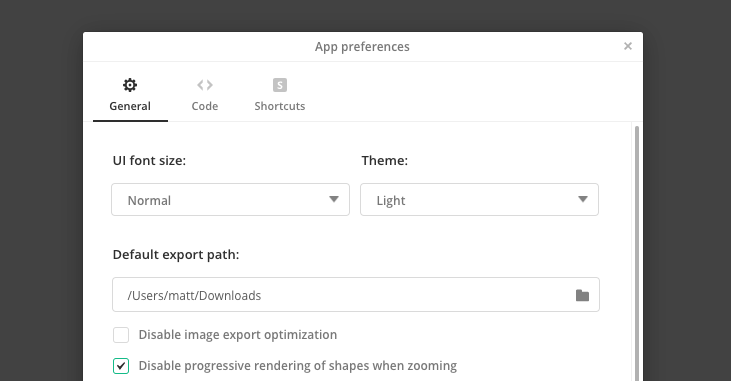 If you want to export the image without optimizing the file size, just disable the optimization. If your machine doesn’t meet the technical requirements of our desktop app or doesn’t support WebGL, checking the "Disable progressive rendering of shapes when zooming" box might help. Check this option, if you don’t want Avocode to ask you to overwrite files while exporting images with the same name that is already in the export folder. Switch of all sounds - like the success ping when you upload a design. If you turn it on you will need to drag the selection over the entire layer to be selected. If you turn it off, you can drag the selection to just a part (at least one pixel) of the given layer (you basically just touch it) and it will be already counted into your selection (so you can export it, see common styles, etc.). You can toggle the menu bar from the window which tends to take a lot of your screen space. In order to connect your proxy server, read this article.